We offer contractors dredge solutions worldwide. SRS Crisafulli. Crisafulli products are built rugged to industrial duty standards. Dredging Solutions. Contractors who own Crisafulli self-propelled Rotomite dredges and Crisafulli remote controlled and automated FLUMP dredges earn good money providing contract-dredging services, which is a growing market. Contractors tell us they chose the Rotomite because of its compact size, portability on land and afloat, fast and easy mobilization, high productivity, and self-propulsion, which means they can run the dredge without a cabling system. This enables them to bid on a variety of dredging jobs and handle applications they could not previously handle. Trailer Pumps. Contractors choose Crisafulli trailer-mounted portable pumps because of their versatility. Crisafulli trailer pumps can be relocated and running in under ten minutes. Crisafulli trailer pumps are either PTO-powered from a tractor, or powered by a diesel engine or electric motor mounted on the trailer’s frame. Industrial contractors often prefer the self-powered system. For construction companies working in residential areas, where noise level is a concern, the electric motor powered trailer pump is often preferred. Submersible Hydraulic and Electric Pumps. Water truck drivers rely on Crisafulli pumps to fill their trucks quickly to control dust on haul roads at construction sites. 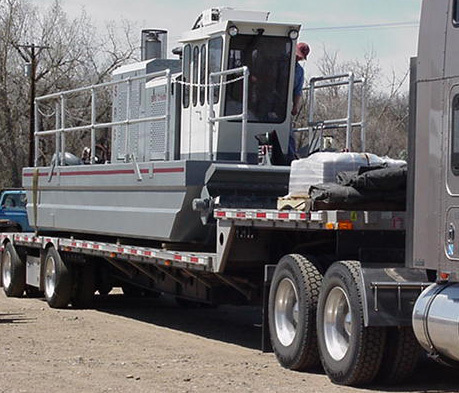 Dewatering excavation sites, barrow pits, ditches, as well as diversion dewatering of cofferdams can be accomplished with a Crisafulli trailer pump or submersible hydraulic pump. Crisafulli hydraulic pumps are chosen for sewage bypass operations. Crisafulli hydraulic pumps can be powered by a Crisafulli trailer or skid mounted hydraulic power unit, or run off the hydraulics of an excavator or other piece of construction equipment. Rugged Crisafulli hydraulic pumps were used to cleanup the Valdez oil spill. After the oil had been recovered and placed in barges it sat in cargo holds and deteriorated. When other pumps failed to pump the contaminated oil, Crisafulli pumps were used get the sludge out of the barges. Flows To 18,000 GPM - Total Dynamic Heads (TDH) to 280 Feet - Spherical Solids Passing To 5 1/2 Inches. 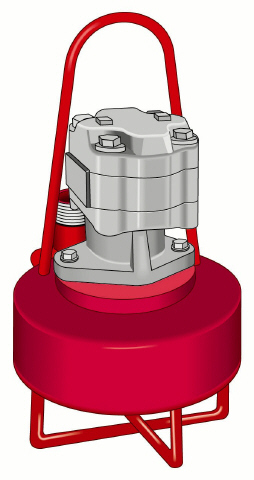 Crisafulli offers 133 standard models in five product groups, and additionally custom engineers all its vertical pumps. Portable Power Units. Crisafulli offers 60 models of its portable power units. A Crisafulli Solution For Every Portable Power Need. Hydraulic Output Up To 150 GPM - PTO Horsepower Output Up To 250 HP.